18:30 Our shared celebration of the First Mass of Christmas, incorporating Lessons and Carols, will be celebrated in St Patrick’s Church, followed by mulled wine, soft drinks and mince pies served in the parish centre. 09:00 Family Mass in St Alban’s Church. There is no Mass in St Patrick’s Church on Christmas Day. Family night with an eye on Christmas – Success! A glimpse of the generosity of so many friends and parishioners who supported the Family Night on 9th December, 2016. Instead of purchasing tickets, carrier bags of groceries and small gifts were donated which will be given to the Missionaries of Charity in Newcastle to distribute to the needy in our region this Christmas. 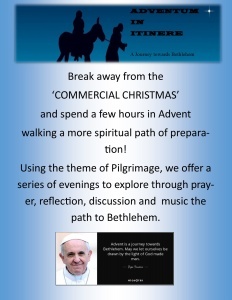 The evenings will be led by a parishioner, who will give us an insight into their spiritual journey to Santiago made earlier this year, exploring how that fits in with the Advent journey and life in general for us all! On Thursday, 24th November we invite you to “A Taster Evening” from 18.30 to 21.00 in St. Patrick’s parish centre. This is a social evening with some food and wine with French and Spanish tastes. 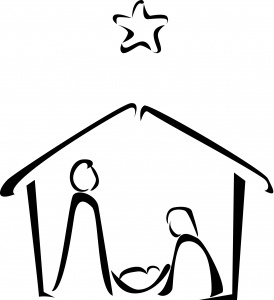 Mary and Joseph relied on the kindness of strangers to house and feed them as they prepared for the birth of Jesus. We would like to invite you to a Family Night with music, nibbles, fun and good company on Friday, 9th December from 19:00 in St Patrick’ parish centre and ask that instead of buying a ticket, you might consider being “kind to a stranger” who is struggling in our own locality and donate a bag of shopping. Tins of food, toiletries, tea, coffee etc. 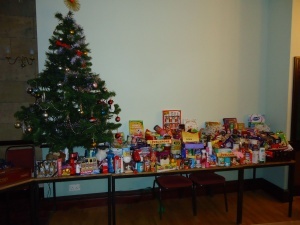 which will be given to the Sisters of Charity in Newcastle to be distributed to those in need. At a meeting of the clergy, Forward Together in Hope lay representatives and parishioners from the deanery in St. Joseph’s, Gateshead on Wednesday, 16th November, 2016, it was agreed to submit Partnership Proposal One to Bishop Seamus for his consideration. This decision was based on the results of consultations made in all the parishes of the deanery on Sunday, 6th November, 2016. If the Bishop is in agreement with the proposal, St. Alban’s, Pelaw, St. Augustine’s, Leam Lane, St. Joseph’s, Gateshead, St. Patrick’s, Felling and St. Wilfrid’s, Gateshead will work together in partnership. Our November Masses for all our deceased loved ones, and especially for those members of our parish families who have died during the past twelve months, will be celebrated on Monday, 14th November at 18:30 in St. Alban’s Church and on Saturday, 26th November in St. Patrick’s Church at 10.00. On the weekend of 5th/6th November, our parish lay representatives for Forward Together in Hope spoke at all the Masses, briefly outlining the proposed groupings for partnership which were decided at a meeting, on 3rd November, of the lay representatives from all the parishes in our deanery. Parishioners received a form on which to indicate their preferred choice. If any of our young parishioners, who are in Year 9 and above, would be interested to know more about the Sacrament of Confirmation with a view to being confirmed in 2017, would they please make contact with their parish priest by 30th September, 2016 who will provide them with further information.